Our beautiful Multi Green Onyx - Jewelry/Trinket Boxes are created from marble, onyx and stone. They are the most flawless type of handicrafts, each piece being unique in its onyx stone colors and pattern. Every piece is exquisitely designed by hand. 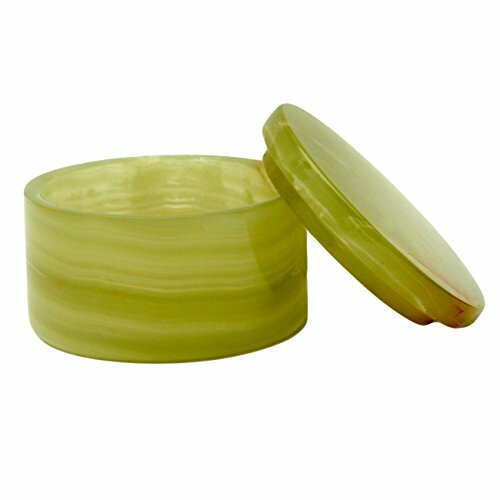 Multi Green Onyx - Jewelry/Trinket Boxes can be used to preserve jewelry or simply as a decorative item in your room or living room. You can buy them for yourself or give them as presents to your female friends and/or mother, sister, wife, daughter and make them feel happy and appreciated. 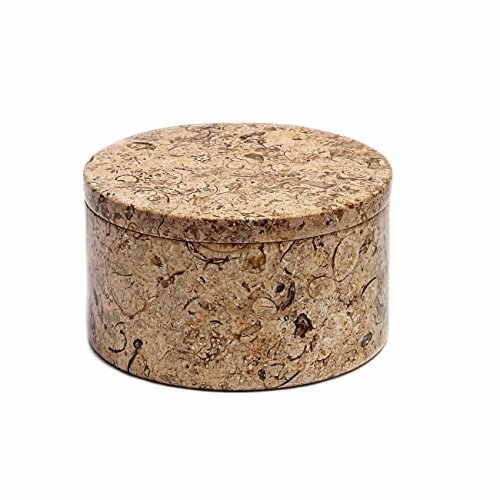 All Natural Fossil Coral Stone Trinket (Jewelry) Box - 4" Round & 2.5"
Our distinctively shaped jewelry boxes are sculpted by hand from Fossil Coral Stone. Natural imprints of prehistoric shells, florae, corals, and sea remains that lived millions of years ago are exhibited on every one of these pretty coral stones boxes. With perfect gloss and finish, these fabulous coral stone trinket boxes mix brown, sand and earth shades perfectly. 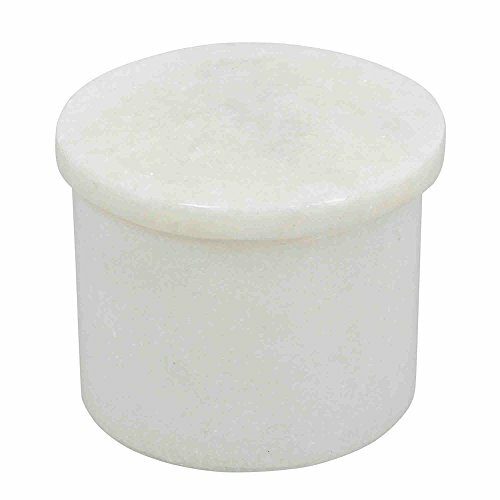 Their lids have also been skilfully designed by hand to fit perfectly. These boxes can be used to keep jewelry, ornaments and small souvenirs. They make elegant gifts for your mother, wife, sister, daughter or female friends. This square jewelry box was mined, carved, and finished by hand to ensure the highest level of quality. 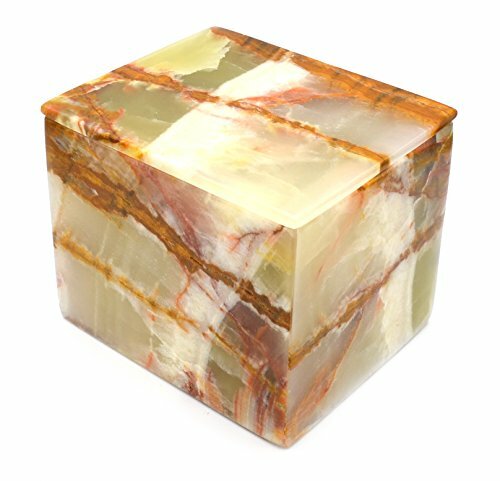 Made from green onyx aragonite, each square jewelry box has its own unique coat of bands, eyes, voids, and veins, but all look stunning. The green color, with shocks of red and brown, while being almost perfectly square, gives you a feeling of calmness and serenity. The smooth stone offers an elegant, refined feeling, making it a versatile addition in any setting. Each finished stone top weighs over three pounds, and measures 5" long by 4" wide and 4" tall.Every item from the "Artisan Mined" series is backed by a complete satisfaction guarantee. As is the nature of true, authentic geological specimens, each specimen is completely unique and some can be more striking or appealing to certain people. If you receive and item and are dissatisfied with the item, we will exchange your item free of charge (in some cases allowing you to preview the set before shipment). We hope you understand the variable nature of such products and want nothing more than for you to be completely satisfied. 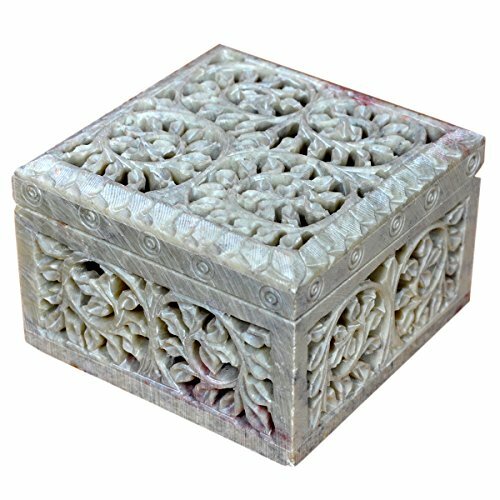 This square jewelry box was mined, carved, and finished by hand to ensure the highest level of quality. 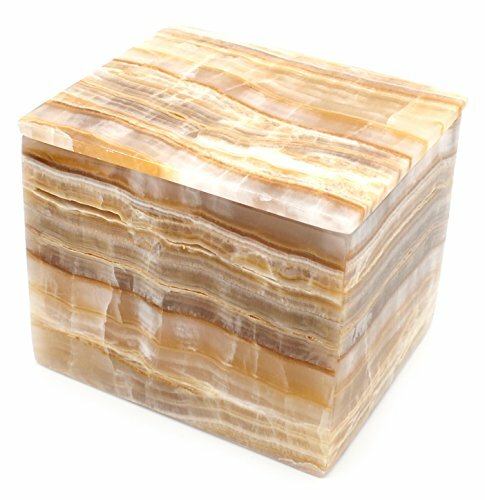 Made from amber onyx aragonite, each square jewelry box has its own unique coat of bands, eyes, voids, and veins, but all look stunning. The amber color, with shocks of white and brown, while being almost perfectly square, gives you a feeling of calmness and serenity. The smooth stone offers an elegant, refined feeling, making it a versatile addition in any setting. Each finished stone top weighs over three pounds, and measures 5" long by 4" wide and 4" tall.Every item from the "Artisan Mined" series is backed by a complete satisfaction guarantee. As is the nature of true, authentic geological specimens, each specimen is completely unique and some can be more striking or appealing to certain people. If you receive and item and are dissatisfied with the item, we will exchange your item free of charge (in some cases allowing you to preview the set before shipment). We hope you understand the variable nature of such products and want nothing more than for you to be completely satisfied. Namaste !! 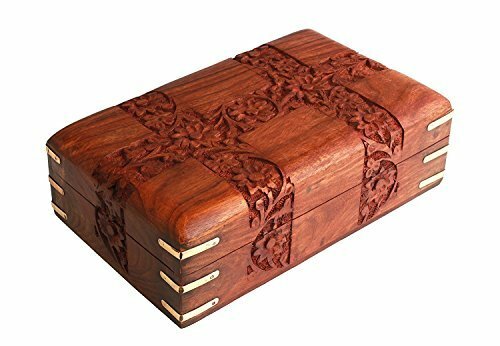 This gorgeous jewelry box is embellished with Mughal and Persian inspired motifs including small flowers, intertwining leaves, amris and butties, which are inlaid against the dark wood, to create a stunning effect. Not only is the box beautiful, but also has great utility for storing jewelry & smaller accessories. The inside of the box is layered with red velvet thereby ensuring its contents remain scratch free as well as adding to it's charm. 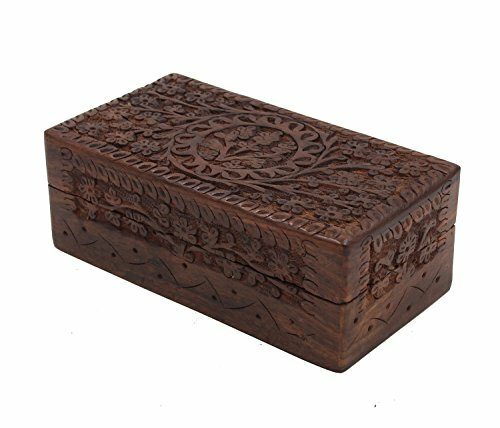 The box is made by artisans from Saharanpur, Uttar Pradesh, India which is internationally famous for this craft and its artisans who have been creating magic with the material for years by breathing life into dead trees, as they proudly put it. If you are looking for a special gift or a beautiful way to organize your jewelry, this is perfect for you. 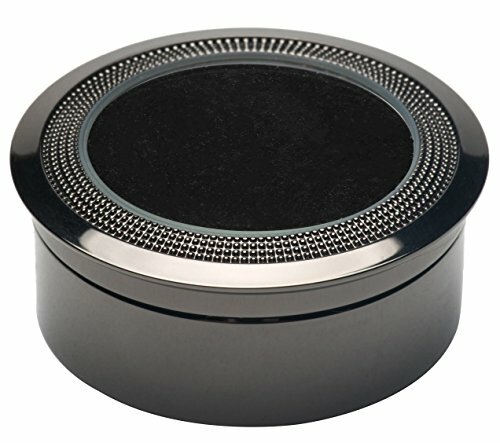 Looking for more Stone Box similar ideas? Try to explore these searches: White Cylinder Bottle, Orajel Antiseptic Mouth, and 200 Mg Caplets.